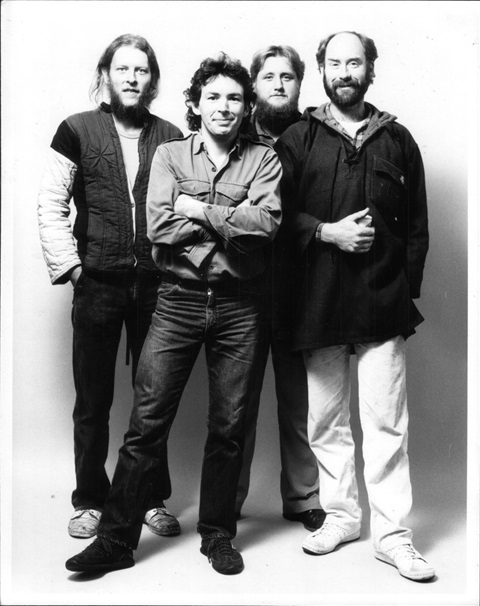 Cockroach original lineup, 1979. L to R, Paul Norman, Dimitri Edmonds, Dennis McCann, John Donoghue, Richard Rua Mason, Haywood Norman. Following the 1975 decision to retire from my overground recording career and drop off the grid for a while, I returned to Northland NZ, my place of birth. By the winter of 1976 I had become a commercial fisherman, longlining out of Houhora with old Cheshire Katt chum Dennis, on his boat "Avalon." In 1977 I moved even further North to live at Te Hapua, at New Zealand's North Cape. It was at Te Hapua where, later the same year, "Cockroach" was founded, a band formed to raise funds toward helping the local Iwi, Ngati Kuri, fight an illegal land grab that involved forestry on sacred land around the north coast of New Zealand. Cockroach's first fundraising appearance was at Awanui, in the Far North of New Zealand, on 7th October, 1977. The campaign was to have an successful outcome and inspired the band to stay together. We soon began writing and performing our own material, and with song titles such as "Rainy nights in Ngauranga," "Moonrise Rangaunu Bay," "Where the Spirits Leap" and "Rangatahi," the band began to take on a fearless homegrown edge. Cockroach quickly outgrew the Far North and In 1978 shifted it's base of operations to Whangarei, where we recruited local businessman Paul Marshall as band manager. Under Paul's management the band soon outgrew Northland as well and began making appearances in Auckland and beyond. Cockroach were to make a big splash at the 1979 Nambassa Rock Festival, playing the Mainstage twice and making extra appearances by popular demand. Regular trips to Auckland followed and the band also made appearances at most of the major rock festivals held in the upper North Island at the time. It was looking like the psychedelic juggernaut that was Cockroach was unstoppable. The band recorded one single for Ode Records, at Mandrill Studios in Auckland. More recordings were supposed to follow. Unfortunately, despite committed management, bits began to fall off the juggernaut and by 1979 the original lineup had fractured. This was to mark the beginning of the end for this unique, extraordinary adventure. A new lineup was formed to honour contractual obligations and perform alongside American Blues legend Bo Diddly at the Helensville Rock Festival of 1980. More gigs followed and the psychedelic circus stumbled on, but with the original chemistry missing and the new band now crippled with debt, it was beginning to feel like a lost cause. Finally at Easter 1980 I joined the other Cockroaches deserting the sinking ship and fled to Wellington. 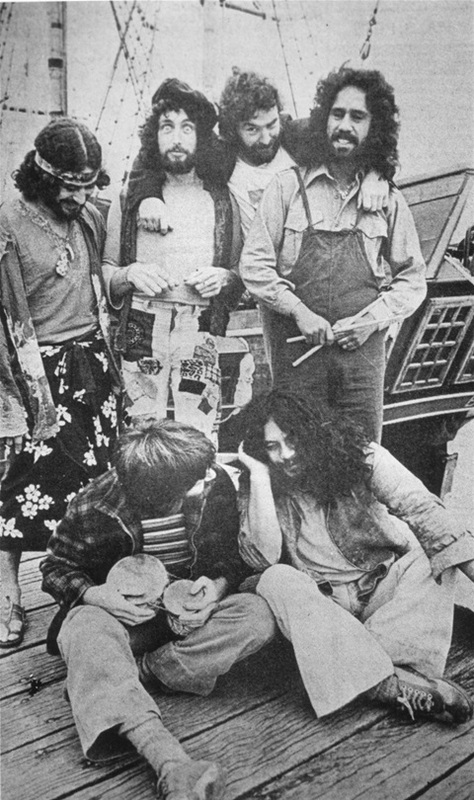 Another Cockroach lineup was formed for the 1981 Nambassa Rock Festival. Several more lineups followed until finally, in 1983, the band was downsized into a three-piece, featuring Richard Rua Mason, Derek Barnston and Brent Andrews. The Mangawekas, 1983, L to R, Martin Wilson, John Donoghue, Dougal Speir, Danny Shaw. Following the Punk Rock/New Wave movement of the late seventies, Wellington experienced a brief but vital blues revivalist movement. One of the bands central to this movement was the "Mangaweka Viaduct Blues Band." In 1980 the band released an album ("The Mangawekas") which received generous airplay on Wellington Student Radio. In early 1981 Bulldog's drummer Danny Shaw joined the band and was instrumental in recruiting me into the band soon after. As well as headlining at the Cricketers Arms Tavern - Wellington's major rock venue at that time - The Mangawekas also toured the provinces and by the mid-1980's the band had built up a fiercely loyal following around the North Island rock circuit. In early 1984 we teamed up with Auckland's "BluesBusters" band and together, the two groups ran 'Blues Extravaganzas' at the Cricketers Arms in Wellington and the Gluepot Tavern in Auckland. The Mangawekas were a solid rock/blues combo with a repertoire steeped in blues tradition. They were also very much a "rhythm 'n' booze" band, and band rehearsals often turned into sponteneous all-night parties. Performances were wildly uneven too, but on those nights when it all came together, the Mangawekas could be a devastatingly good band, blowing all others into the weeds. After several lineup changes I eventually left the group in late 1984 to form another Bluesband, the considerably more sober "Crookstrait Band" with Wayne Mason, John O'Connor and Rob Clarkson. The potential of this band was unfortunately eclipsed by the sudden and unexpected popularity of another project that Wayne and I were involved in at the time, Wellington's Neo-Country Band "The Warratahs." Warratahs original lineup, 1986. L to R, John Donoghue, Wayne Mason, Barry Saunders, Marty Jorgensen, Nik Brown. 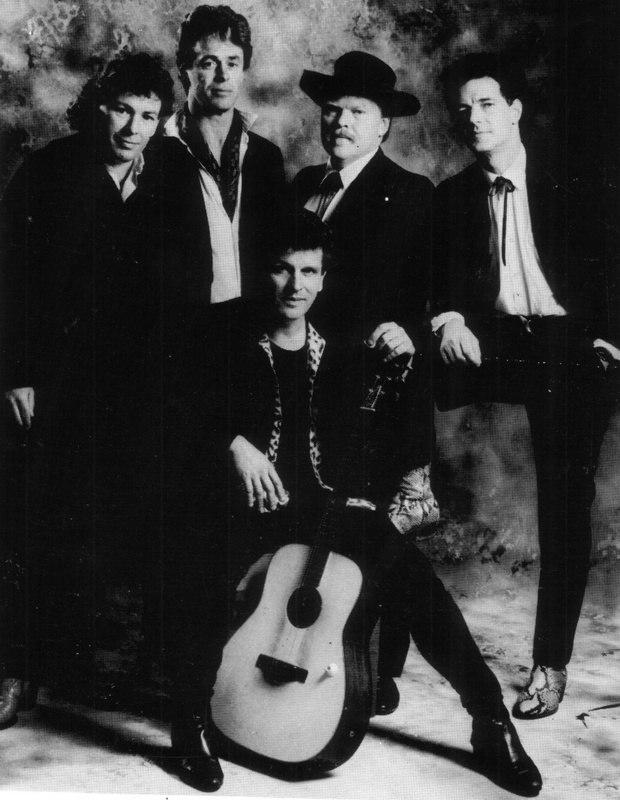 It's hard to imagine "Country Shufflers" The Warratahs as an underground band now, but in the new wave period of the mid 1980's, the concept of a bunch of rock and jazz Musicians getting together to play Hank Williams songs was quite radical. In 1985 Wayne Mason and I had a Sunday Night Gig at Flanagan's Restaurant in Courtenay Place, Wellington. Singer Barry Saunders would come into the restaurant for a meal each Sunday and Wayne and I would join him in our breaks. At the time, Barry was reading Chet Flippo's outstanding biography of Hank Williams, "Your Cheating Heart." When he finished the book, he passed it onto Wayne who read it then passed it on to me. By the time I'd finished the book, Barry was building a collection of old Hank William's records. The inevitable happened and we started learning the songs, at first up at Barry's flat in Mt Vic. Marty Jorgensen and I were partners in a small basement recording studio that we'd built beneath Marty's house in Miramar. It sported an old upright piano so we shifted our rehearsals there. Marty had his drum kit set up in the studio and soon joined in. Wayne and I also had a Thursday Night Gig in the Middle Bar of Wellington's Cricketers Arms Tavern. We passed that over to the new, as yet un-named, band in early 1986. Come opening night and the band still hadn't come up with a name, so I gifted them a name I'd had on a rock and roll project sitting on my drawing board at the time. "The Warratahs" opened at the Cricketers Arms and began attracting a following almost immediately. The band wanted to add a Violin to the lineup and auditioned several players. Eventually I was able to convince Nik Brown, of Wellington jazz band "Hot Cafe" to come down to the Cricketers and see what we were up to. Nik immediately joined the band and this completed the original lineup. We recorded our debut album "The Only Game in Town" - an eclectic mix of covers and originals - at Broadcasting House In Wellington and then brokered a recording deal with Pagan records. With Student Radio behind the album, the Cricketers began filling up with a whole new audience demograph. Before long we were playing to "standing room only" on Thursday, Friday and Saturday nights. Touring followed and by year's end the Warratahs had become a fulltime job, causing the five of us to drop all other musical projects. We visited the Gold Guitar Awards at Gore and took out the Top Group Award. The Warratahs went on to become one of New Zealand's most successful Country Bands. To the NZ country music world, The Warratahs seemed to come out of nowhere. The band's revisionist approach proved to be a shot in the arm for the country music establishment and managed to break down a few walls of prejustice toward Country Music in the mainstream too. Mission accomplished. I had a great time. The whirlwind adventure and joyful cameraderie of the Warratah's first few years was as good as it gets, but by 1988 the band's underground mission seemed well and truly completed. I left in July 1988 to become a company director at Wellington's "Pacific Sound Recording Studios" and to finally get my pet project off the drawing board. This was to come into fruition the following year, with Wellington Rock and Roll band "Johnny and the Skyhawks." Johnny and the Skyhawk. 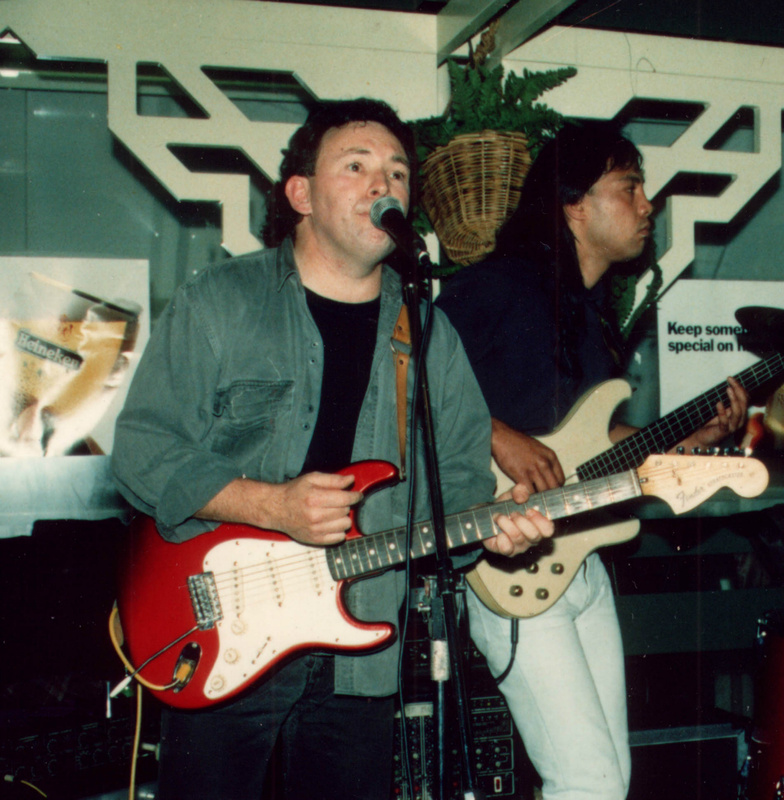 John Donoghue and Tama Mita performing at the Oaks, Wellington, 1990. LEAD GUITAR: Bruce Speir / Kemp Tuirirangi. TRUMPET, FLUTE AND HARMONICA: Nigel Patterson. Barbara Griffen, Mara Finau, Tauleva Finau. Johnny and the Skyhawks was the music project that had been on my drawing board for most of the Eighties. It was to be a live platform for my new original material and to herald the Timberjack's triumphant emergence back into Overground. It didn't quite work out like that.. I'd been developing the project over time in partnership with Tama Mita, enigmatic Bassman from Northland's Electric Puha Band. Tom was living in Christchurch and I'd been sending demos of my original material down to him to critique. On a Wellington visit in 1989 it was his suggestion that we create the Skyhawks out of the remnants of the Mangaweka Blues Band. This was probably where it all started to go wrong, for the new band quickly inherited all the indulgent practices of the old one. Danny Shaw left after a few weeks for logistical reasons and was replaced by Wellington Jazz Drummer Maurice Phillips. "Johnny and the Skyhawk's" kicked the year off with a hiss and a roar, one of our first gigs being to a massive crowd at the Portage Resort in the South Island at New Year's Eve, 1990. Returning to the North Island in early 1990, the Quartet went into residency at the Oaks Tavern in Central Wellington. 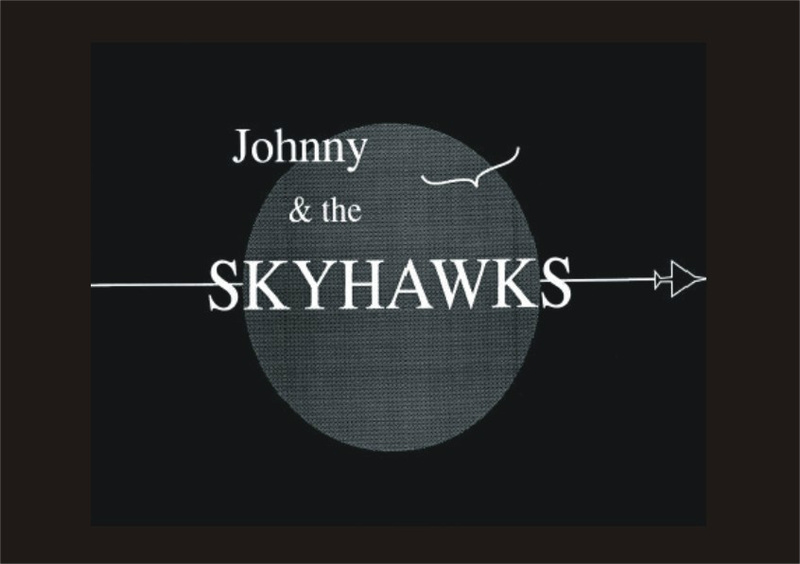 Alongside the new original material, Johnny and the Skyhawks also delivered an eclectic mix of rock and roll, jazz, blues and reggae. It didn't take long for the band to build up a substantual following and become one of Wellington's drawcard acts that summer. Our 1990 gig calender coincided with the Sesqui Celebration of the same year and we were invited to perform on the giant Wellington Waterfront Stage, opening for Ray Columbus and the Invader's 1990 reunion. As exciting as it all was, (and it certainly was..) the Sesqui Performance proved to be the swansong for Johnny and the Skyhawks. The circus had become too large, and the core band, with its inherited Managawekaisms, a little too.. er... rock and roll..? So.. even though Johnny & the Skyhawks had made a memorable impact on the Wellington scene, the experience proved that I was nowhere near as ready as I thought I was to emerge back into overground, or to emerge anywhere, for that matter. I put the band on ice for a year and formed the working duo "JD Mohawk" with Wellington Drummer Maurice Newport. JD Mohawk was a great little combo that worked steadily around Wellington and beyond until Maurice had to quit because of other obligations. I then made a series of decisions that included disbanding the Skyhawks, leaving my Wellington base at Pacific Sound Studios and heading back to Northland, to embark apon what would become the most intriguing underground journey of them all..